I was playing around with my new, home made macro lens, and found this interesting little dead thing to act as a model. I thinks it's maybe a bee. I think it's a bee. 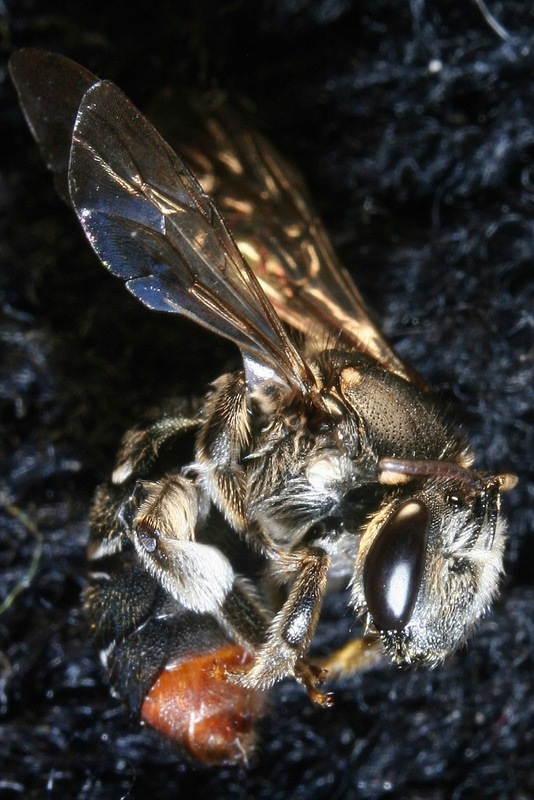 If it's a bee, it's probably a native Australian bee. Perhaps a Megachile or "Resin bee". Either way, this is what you find if you mentally mark out a square foot of ground on my lawn, and search it as if it were a crime scene. A very interesting looking little critter. Dark subject against a dark background. 120 Things in 20 years wonders how it's going to get a bee to wink in a planned portrait when bees don't have eyelids.